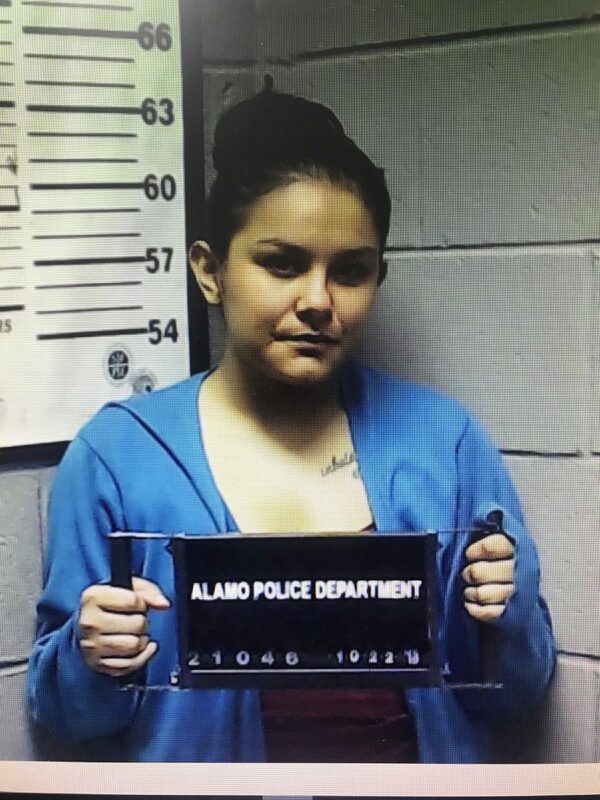 ALAMO — Two suspects in a drug trafficking case involving the city secretary were arraigned Tuesday following their arrests Monday, after three months of evading authorities. Victor Ezequiel Flores, 31, and Jessica Berenice Gonzalez, 26, were arraigned on engaging in organized criminal activity and possession of a controlled substance charges, respectively. Alamo Municipal Court Judge Celia Garcia set each of their bonds at $40,000. 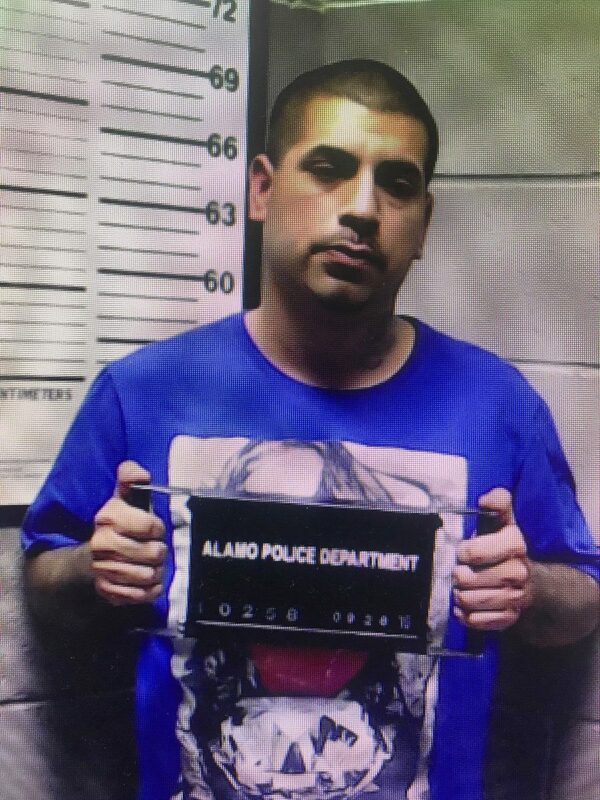 McAllen police arrested the pair Monday during a drug-related incident, said Alamo Police Chief Baudelio Castillo, and Flores and Gonzalez were transferred to Alamo police custody Tuesday morning as they had outstanding warrants from the city. The warrants were issued July 27, 2018, one day after Alamo City Secretary Crystal Garza was arrested on a third-degree felony charge of engaging in organized criminal activity. During a press conference held following her arrest, the chief accused her of leaking sensitive police narcotics information to members of the organization, including the identities of undercover narcotics officers and police targets. The city suspended Garza without pay following her arrest, and she remains suspended, Alamo City Manager Luciano Ozuna confirmed Tuesday. The city hired Martha Alvarado as a temporary replacement. According to a probable cause affidavit released by the Hidalgo County Sheriff’s Office, Flores and Gonzalez were present during an April 2018 Alamo police narcotics search of a house in the 800 block of North 9th Place that resulted in the discovery of 11.74 grams of crack cocaine and $1,177 in cash. At the time, Flores was arrested on possession of controlled substance charges and subsequently bonded out of jail. Gonzalez was not immediately arrested because she was about to give birth, Castillo said. A warrant was instead issued for her arrest and she was advised to turn herself in after her child was born, which she never did. Another member of that group, Cristobal Godinez Garza, who is believed to be a member of Garza’s family, was arrested Aug. 17 on an engaging in criminal activity charge. A search of his cellphone revealed that Garza, “on several occasions” texted him about “the purchase and selling of narcotics,” according to the affidavit. Garza’s mother, Janine Lynn Garza, and boyfriend, Eddie Ramirez, were also arrested Aug. 1 and July 27, respectively, in connection with the case — both on tampering with physical evidence charges for allegedly trying to hide Garza’s cell phone. Godinez Garza, Crystal Garza, Janine Garza and Ramirez are out on bond and have yet to be indicted. Castillo said the investigation remains ongoing, and additional members of the criminal organization have yet to be apprehended. FBI spokeswoman Michelle Lee declined to comment on any FBI involvement, pursuant to agency policy. This story has been updated to include additional information from Alamo Police Chief Baudelio Castillo and probable cause affidavits.